When words fail ... music speaks. What on earth is a Dulci-Bro? The Dulci-Bro is not a traditional instrument. 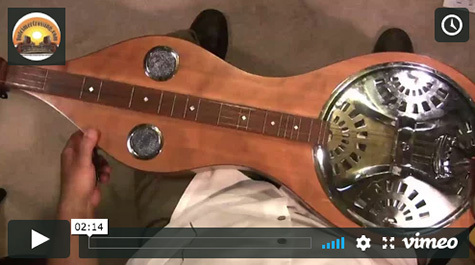 It's a hybrid - a combination of a dulcimer and a dobro, or a resonator instrument, and played by using a slide and plucking or strumming the strings. Steve Eulberg teaches both mountain and hammered dulcimers lessons at Dulcimer Crossing. 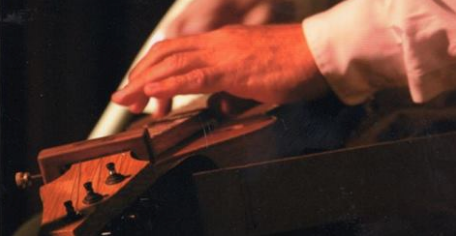 Steve is a 5-time national mountain dulcimer winner and 3-time national hammered dulcimer finalist. He earned a Master of Music Education degree from Boston University. Steve teaches dulcimers in his studio in San Mateo, CA, and is in demand at festivals, weekend and week-long dulcimer workshops across the USA. Here is a link to Steve's blog about the Dulci-Bro. And following is a list of the lessons we offer at Dulcimer Crossing on the Dulci-Bro. In addition to practicing for his upcoming show, Steve just completed a new pdf on Modes and Key Signatures. You can find it on our webpage with FREE offerings. As always, if you have any questions, always feel free to ask Steve or myself. 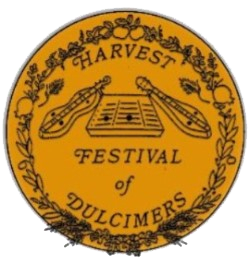 The Fall Harvest Festival of Dulcimers is a Festival for both mountain and hammered dulcimers plus other acoustic instruments, presented by Southern California Dulcimer Heritage. Workshops, jamming and concerts, this year featuring Ruth & Steve Smith (hammered dulcimer + more) and Heidi Muller & Bob Webb (fretted dulcimer + more) and many others, teaching workshops for ALL levels of dulcimer playing plus other instruments (below). There is a festival motel with group rates for visitors and other options as well. There will be workshops by the featured performers, Ruth Smith, Steve Smith, Heidi Muller, and Bob Webb. In addition, there will be other workshops at all skill levels of hammered and fretted dulcimers, plus selected workshops in other folk instruments, this year including ukulele, guitar, bowed psaltery and more. Open jamming all day - all acoustic instruments welcome! . Cost: Ticket types vary. See web site (below). Directions: This is in Orange County, just south of Los Angeles. From I-405 go south on Fairview Road for under a mile. Church is on left. From south bound 405 - to San Diego - south on Fairview = right turn. From north bound 405 - to Los Angeles - south on Fairview = left turn. Copyright © 2017 Dulcimer Crossing, All rights reserved.